This week, White House national security adviser John Bolton slammed the International Criminal Court in the latest shot across the bow the Trump administration has taken against multilateral institutions. 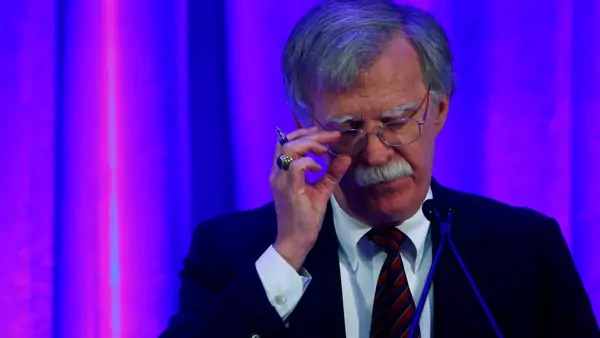 However, Bolton’s attack on the ICC is particularly shortsighted. As I have written before, it is in the United States interest, in our interest in national and international security, to support this court. Even before joining the Trump administration, Bolton penned a piece in the Wall Street Journal that the United States should welcome the opportunity to “strangle the ICC in its cradle” or at least to tell the ICC Prosecutor that “you are dead to us.” As Bush administration legal adviser John Bellinger confirms, Bolton led the charge during George W. Bush’s first term to oppose the fledgling court, including by “unsigning” the Rome Statute that created the ICC and bullying U.S. allies into signing more than one hundred Article 98 agreements promising not to surrender American officials to the court. However, the Bush administration’s hostility to the court began to evaporate, as officials soon began to recognize that many of the most important U.S. allies were members of the ICC and that the court could serve American policy goals. The idea behind creating the ICC emerged from the ashes of World War II and the Nazi Holocaust. It took another half century after the founding of the UN before the ICC came into effect. Its establishment not only offers a way to punish war atrocities, but also deters would-be abusers from even contemplating committing genocide and other serious international crimes. International criminal justice is important not only to secure justice for victims, but also to preserve rule of law and promote greater peace, security, and stability in an otherwise tumultuous world. When courts dispense justice, aggrieved individuals and communities are less likely to take matters into their own hands, which can escalate into serious conflicts with spillover effects for all. National courts can occasionally prosecute these crimes, but are sometimes not willing or able to do so. While the ICC is a relatively new institution, it has investigated numerous allegations and prosecuted several cases, leading to a handful of convictions thus far in cases ranging from the use of child soldiers to the war crime of murder. Even so, under the principle of complementarity, the court will not prosecute cases where the relevant country has taken necessary steps to investigate and punish war crimes. Such deference to state sovereignty, which the United States fought for in negotiating the ICC statute, should address any concerns the President has about the ICC prosecuting the United States for alleged misconduct in Afghanistan. It is shortsighted for the Trump administration to undermine support for the important work the ICC does, as the court has played a significant role in advancing interests that the United States paved the way for following World War II, and there are many ways that America can support the court without formally becoming a party. Thus, the Trump administration should pursue a policy of “positive engagement” with the court (an approach pioneered by former legal adviser Harold Koh), which has enabled the United States to participate as an “observer” in the ICC’s Assembly of States Parties to ensure U.S. interests are met. The United States could also continue to offer support for specific prosecutions, on a case by case basis — for example through cooperation on witness protection — and could offer expertise and logistical assistance in collection of evidence or in efforts to apprehend ICC fugitives. The United States took similar steps to support the International Criminal Tribunal for the Former Yugoslavia (ICTY), such as by providing the ICTY Prosecutor with aerial images showing the construction of mass graves at Srebrenica.